Mac Devereux has been Kitchen painting in the E Midlands for many years, the last 3 years as a member of Traditional Painter. 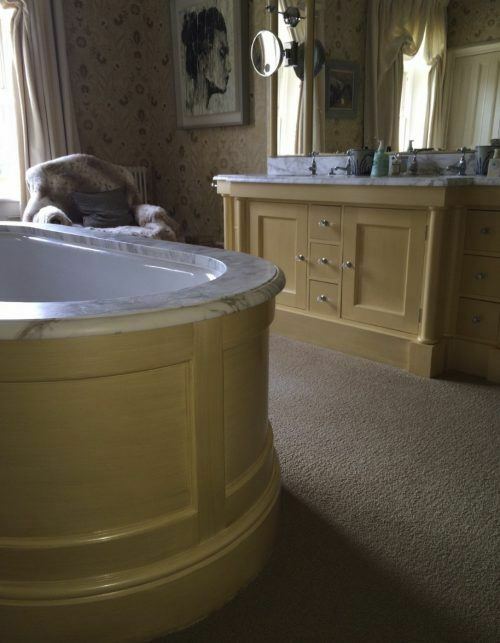 Below are some examples of transformations completed in the areas he covers for Traditional Painter: Leicestershire, Nottingham, and Derbyshire. 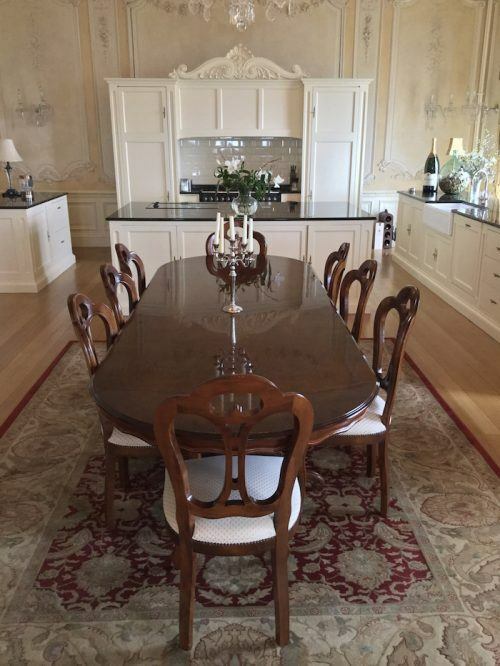 Mac paints all manner and size and style of kitchens. 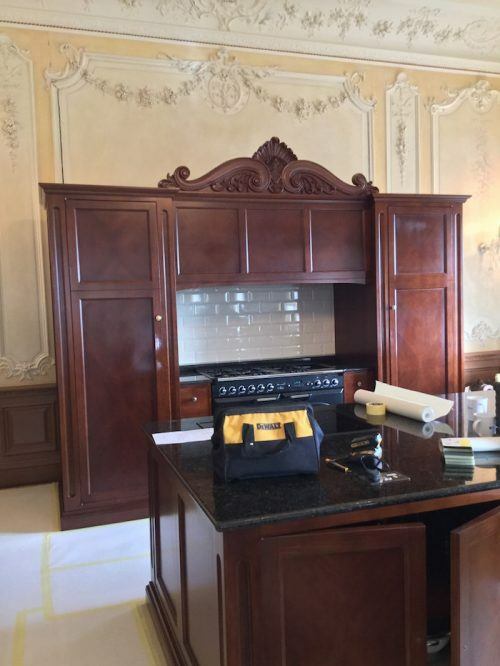 This is an example of the larger kitchens he works on. Lining paper is a kitchen painter’s (and homeowner’s) godsend when it comes to protecting floors and worktops. Impervious to paint, dust is easily removed, reusable… Perfect example of a small touch making a big difference. Once the polish was removed, there was a super base to paint in a durable eggshell sheen. One of the big advances in decorating has been how merchants can offer accurate colour matching across brands. 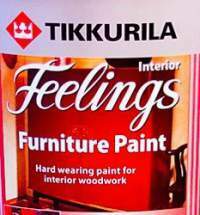 Painters can therefore specify the paint they think will do the job best, in the exact colour the client wants. Another small detail that offers great advantages for all concerned. This is a prime example of how to uplift a kitchen. The old ones can be the best. 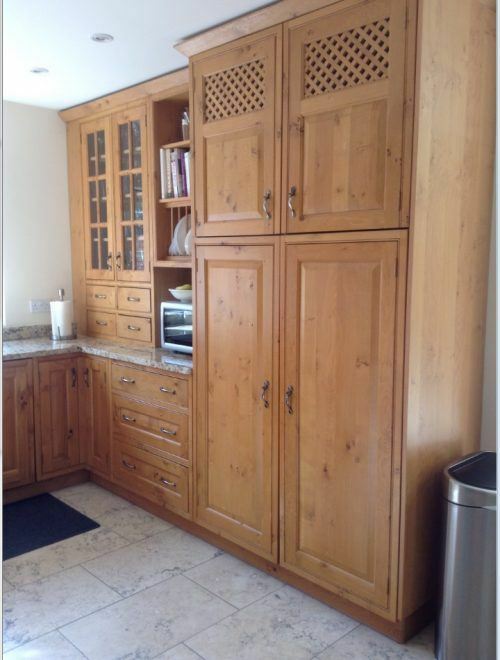 Well constructed pine units like this can last decades if maintained. 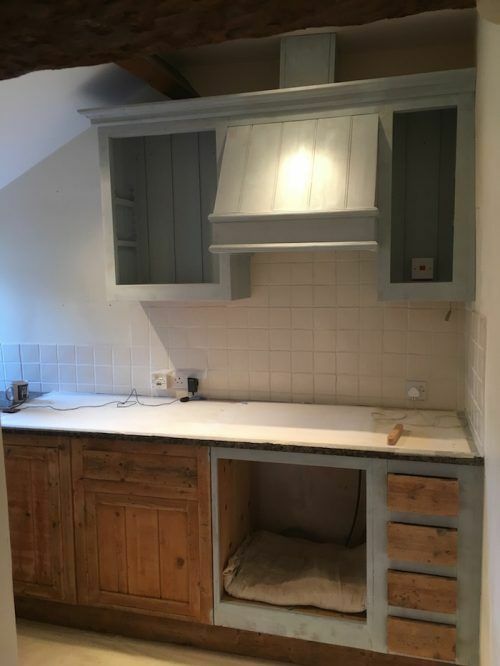 Here you can see the old maxim in action: “paint gives kitchens a new lease of life.” The right paint applied by a knowledgeable kitchen painter helps a lot! There is usually little problem with replacing hinges, tweaking runners, checking that drawers will fit after they have been painted. All part of making sure the small details are taken care of. The discipline and organization from his army background served him well as he built up a business over 40 years working on every type of home from Victorian decorating schemes and country homes to luxury apartments. With a stunning portfolio of projects and outstanding testimonials, including NVQ3 Heritage – the highest Painting & Decorating achievement – Mac is showing no signs of slowing down. He has just won the Houzz 2018 award for customer service – his second win! When Mac was asked, what’s the most important thing you’ve learned through your work? Remember that you are working in someone’s else’s home space and make them feel easy around you. 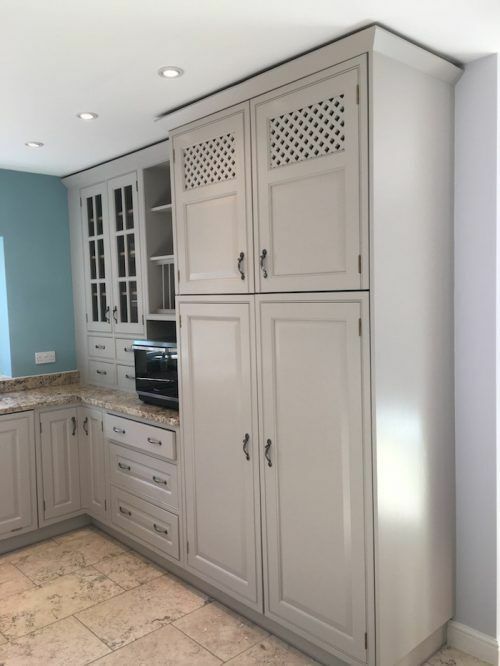 If you are in Nottingham, Leicester or Derby areas and want to find out more about hand painting a kitchen or bedroom furniture, or bathroom, consider contacting Mac for advice or a no obligation quote. Thank you for reading about Mac’s service, Kitchen painting in the E Midlands. 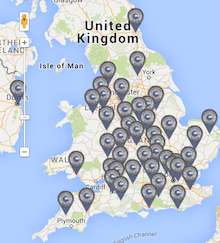 Alongside our work painting kitchens and furniture, we have developed a useful public resource, the forum. Want to browse alone? 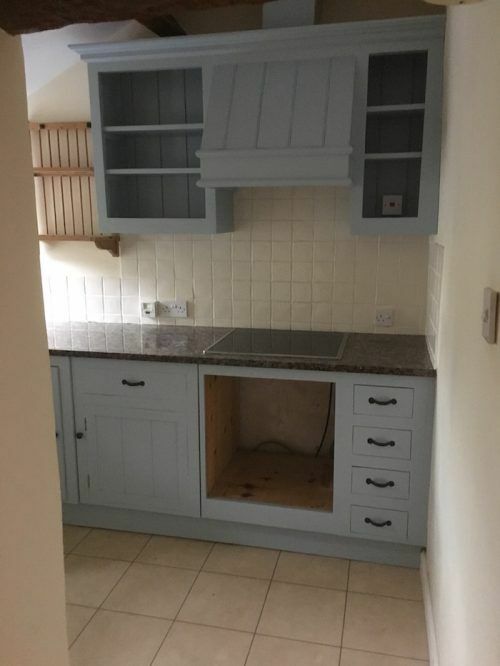 Homeowners, keen DIY and trade can freely browse topics relating to all aspects of kitchen painting, decorating, product choice and trouble shooting. There is no charge, nor requirement to log in. The information is provided by specialists and monitored for accuracy. Want to ask a question? Contributors from TP and independent members are amongst some of the industry’s most knowledgeable experts. Nevertheless we all understand that everyone has different degrees of knowledge and experience. Therefore, if the search tool fails to answer your question, log in to post a question, and you can expect respectful and in depth answers. We hope you find value in the forum when researching your next project.